ICMI 2005 will be in Trento, Italy - the conference co-chairs will be Gianni Lazzari and Fabio Pianesi. ICMI-PUI'03 is over! We had a lively conference, with excellent invited talks, panels, and oral and poster presentations. Thanks to all involved for making it a high-quality and interesting event! The Fifth International Conference on Multimodal Interfaces (ICMI-PUI'03) will be held Nov. 5-7th 2003 in Vancouver B.C., Canada. The three-day ICMI-PUI'03 Conference will bring together researchers from North America, Europe, and Asia to present and discuss the latest multidisciplinary work on multimodal interfaces, systems, and applications. 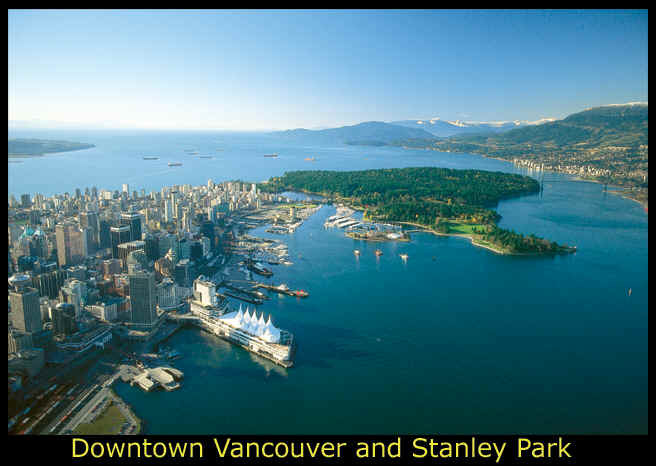 ICMI-PUI'03 is sponsored by ACM, and will be co-located in Vancouver with ACM's UIST'03. This meeting follows three successful Perceptive User Interface Workshops (PUI) and four International Multimodal Interface Conferences (ICMI). These now have joined together to initiate an annual international conference. The ICMI-PUI'03 conference represents the growing interest in next-generation perceptive, adaptive and multimodal user interfaces. These new interfaces are especially well suited for interpreting natural communication and activity patterns in real-world environments. Their emergence represents a radical departure from previous computing, and is rapidly transforming the nature of human-computer interaction by creating more natural, expressively powerful, flexible and robust means of interacting with computers. Topics of special interest to the conference include multimodal input and output interfaces, fusion techniques & hybrid architectures, processing of language and action patterns, gaze and vision-based interfaces, speech & conversational interfaces, pen-based interfaces, haptics interfaces, cognitive modeling of users, AI techniques & adaptive multimodal interfaces, multibiometric interfaces, multimodal-multisensor interfaces, interfaces for attentive & intelligent environments, mobile, tangible & virtual/augmented multimodal interfaces, universal access interfaces, and tools & system infrastructure issues for designing multimodal interfaces. FULL PAPER describing original research in areas related to multimodal user interfaces. SHORT PAPER describing late breaking or ongoing research. PANEL PROPOSAL that presents, debates, or provokes discussion. DEMO PROPOSAL that displays related implementations or concepts. Submission details can be found on the Information for Authors page. Become an ICMI corporate sponsor and receive valuable benefits, while supporting the technical quality of the conference and its accessibility to students. See the sponsorship page for further information. BECOME A STUDENT VOLUNTEER for ICMI-PUI'03! Students can volunteer to assist with the conference. As benefits, they will receive free conference registration and housing, as well as the opportunity to learn about the latest multimodal interface research. Volunteers are expected to spend at most 20 hours helping out during the conference. Volunteers are also expected to attend the entire conference, including arriving at least a couple of hours before the conference starts to help with setup, and staying until the end of the last session. Limited funding also is available for student travel subsidies in cases of financial hardship. To apply, please send your email address, name, country, school, year in school, degree goal, and previous student volunteering experiences, to Jennifer Mankoff (jmankoff@cs.berkeley.edu). The deadline for application is September 1st. A one-page conference announcement (PDF file) can be seen here.